My name is Owen and I have studied at some of the finest education institutions in the world and now I am going into the field to put my studies to the test and try to unearth the secrets of Ancient India. 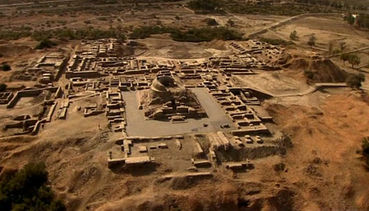 Mohenjo-Daro was a very famous city that was thriving with people and culture in the time of ancient India. Mohenjo-Daro was founded near the Indus River Valley which gave it a cutting edge when it came to sustainability because this provided it with a water source and a food source. The city was also designed on a grid, giving it the right to be called a "grid-city' like many modern day cities around the world today. This aspect of being a "grid-city" gave it the ability to have better planning for the construction of the city and helped create organization. But even with all of these resources, the city of Mohenjo-Daro fell and we will never understand why. Thanks to http://dingo.care2.com/pictures/c2c/share/33/339/999/3399909_370.jpg for the picture of Mohenjo-Daro. The Mahabharata is a very popular and well known Sanskrit epic that belongs to ancient India. 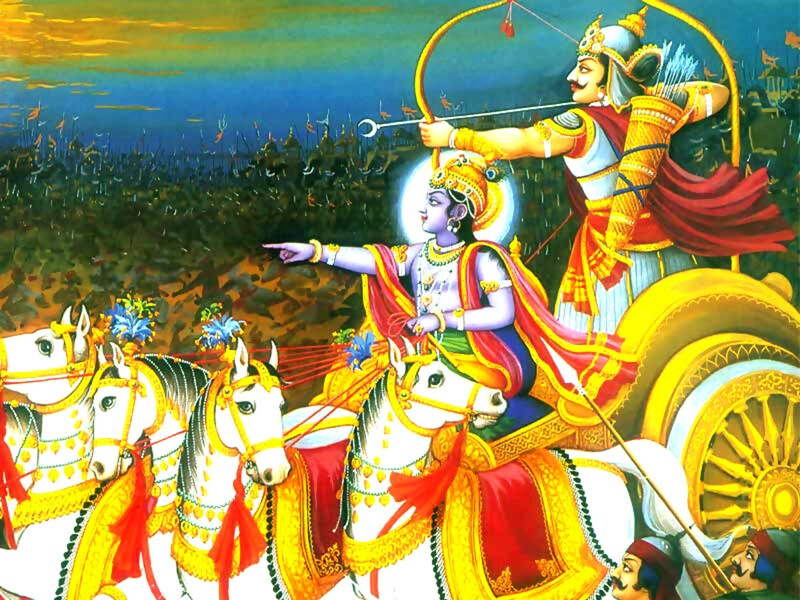 The Mahabharata tells the story of the Kurukshetra War. It also has a lot of philosophical references too. I feel that the Mahabharata is one of the most important pieces of scripture in Indian culture and religion. And I believe that it will always be important because of the story it tells and the message that comes within that story. Thanks to http://s3.hubimg.com/u/7167890_f520.jpg for the image above that depicts some of the story of the Mahabharata. The Vedas is a large body of texts that came from ancient India. The texts in the Vedas are from the oldest scriptures of Hinduism and Sanskrit literature. Many Indian philosophies are passed on through the Vedas. Also, there are many schools that still recite the Vedas and these schools are considered "orthodox". 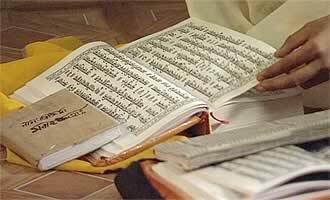 I believe that the Vedas were and always will be a huge and never ending aspect of Indian culture and beliefs. Thanks to http://www.pbs.org/thestoryofindia/images/gallery/vedas.jpg for the image of the Vedas. In India there are many gods and goddesses that each have many different values and characteristics. Brahma, Vishnu, and Shiva make up the Holy Trinity of Hinduism. Brahma is known as the creator and is not usually worshiped. Vishnu is known as the preserver. Finally, Shiva, who is known as the destroyer and transformer, is often worshiped. 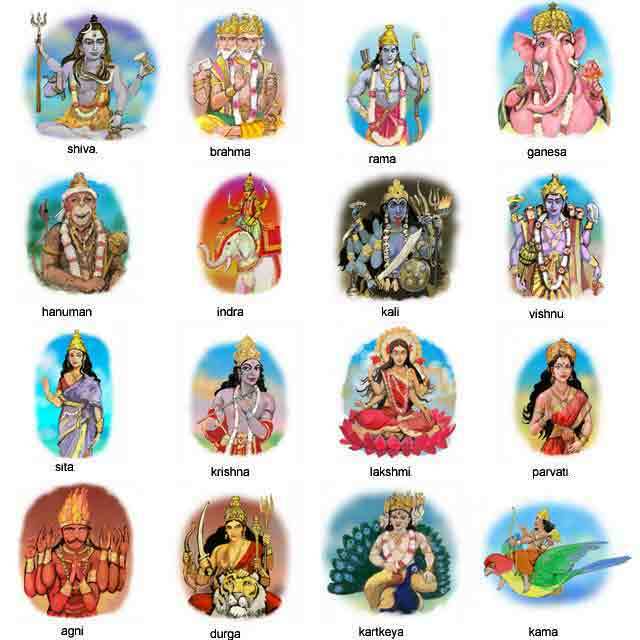 Below there is a picture of just a few of the many gods and goddesses of India. Thanks to http://www.avikatz.net/books/hindu/images/the_gods.jpg for the image. Sanskrit was most likely brought to India from the Aryans when they arrived. Sanskrit was originally an oral language and eventually developed a written form. Sanskrit was an official language of India and in a way, it still is. I also feel that Sanskrit was and always will be one of the most important languages in the world. Thanks to http://www.ukindia.com/zip/zsan1.gif for the image above that depicts what Sanskrit looked like back in the time of ancient India. In India they had a solid caste system that they still, in an essence, have today, but it is not as enforced as it was. 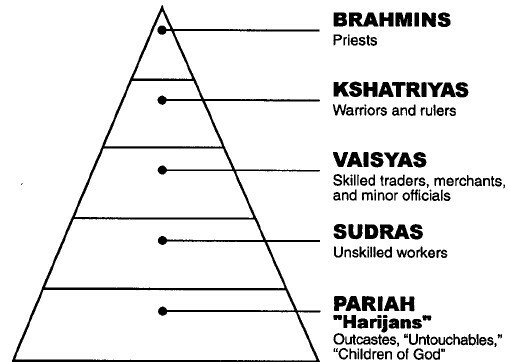 This caste system defined the social status that people had in the society. Also, you couldn't change your position in the caste because the level of the caste that you were born into was the level of the caste that you would be in for life. However, if you did your dharma which is the duty of your first life, you could be reincarnated into a better level of the caste system. I feel that from what I have seen during my experience to India that the caste system has greatly affected the life of many people in India even though the caste system died down years and years ago. The caste levels are below from high importance to low importance in society. Thanks to http://swilliams24.files.wordpress.com/2009/12/caste-system.jpg for the image. The Aryan Invasion was important because it greatly influenced some of the values and aspects of Indian society today. Sanskrit which was used by the Indians, was most likely from the Aryans. Also, some of the animals that India has could have been from the Aryans, specifically the horse. In addition to that, the Aryan Invasion introduced the caste system that India used. I feel that if the Aryan Invasion would have never happened, India would be much different today. Thanks to http://thearyancontroversy.files.wordpress.com/2012/06/map-aryaninvasion.png for the image of the route that the Aryans took to get into ancient India.